I never forget that I'm in a wheelchair and have a disability, but I do tend to forget the affect it has on my daily life. There are so many workarounds that I've created that I just take for granted. But I notice my disability the most when one of those workarounds fails. Because, as many people with disabilities know, it's not the disability that affects me the most - it's the ways that society is inaccessible to me and my disability. Living in Pittsburgh means that almost every house is a multilevel house, built on a hill, often with steps to get in. 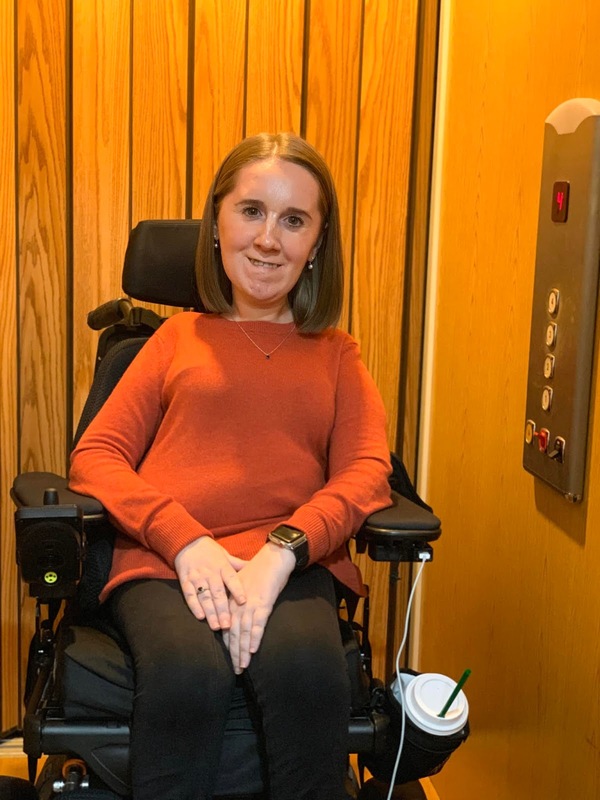 Until I was in high school, that meant that my sister and I had to be carried up and down flights of stairs to get to other floors in our house - our wheelchairs could only get in on the main floor. And you can't easily carry 250 pound wheelchairs up stairs, so we were basically stuck once we were carried up- or downstairs.That was fine when were young and small, but by high school we really wanted the ability to have our own space, and to be in it without having to be stuck laying in our beds. So my parents did a major renovation on our house, and we put an elevator in so that we could actually get around independently. When I woke up Thursday morning and tried to ride the elevator downstairs to shower, it just didn't work, at all. I don't want to get into the details, but long story short, it meant that I was stuck in the top floor of my house and couldn't go to work. I ride the elevator in my house multiple times a day, usually without giving it a second thought - we've had it for so many years now that I just take it for granted. People with disabilities do this for so many different parts of our lives - we create workarounds or modifications to get through our days. And we rely heavily on them! So much of the life of someone with a disability is complicated logistical planning, with backup plan after backup plan in place, and sometimes even that's not enough - it's not possible to foresee every single potential breakdown. When something goes wrong, and one part of our routine breaks down, no matter what it is or why it happens, it sends ripples throughout the rest of our lives.